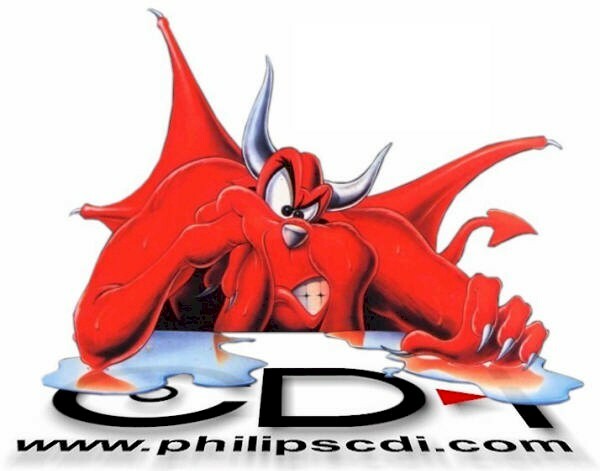 Many many years after Philips gave up the CD-i and long after their last title was published, it is still obvious that the CD-i community is a very active and resourceful one. Not only the many CD-i related sites prove this, because a couple of weeks ago, a new CD-i game was released. Yes, indeed! Programmer Charles Doty and OlderGames bring you Frog Feast. This game, a tribute to the classic Frog Bog, was developed entirely from the ground up with a focus on fun, replay value, and a true love for making a great game. please visit www.oldergames.com for more info. Coming from the man who might just be one of the most active members of the Blackmoon gang and a true CD-i encyclopedia, we have recently had the pleasure of seeing a new CD-i blog in our interactive landscape. Interactive Dreams, a blog maintained mainly by Bas from Holland is one of those sites that goes just a little bit further than the others, by giving you more than reviews and descriptions, but also adding interviews, behind the scenes info, reviews of unreleased titles and so much more. Above all, the site is updated regularly with fresh information. Aided by Devin, whom we already know from the Blackmoon Project, the CD-i forums and the Blackmoon store, this site is certainly worth a visit, followed by a top spot in your favorites list. It came to my attention today that the free counter on my website was actually triggering different pop-ups! That in itself wasn't such a big deal to me, but apparently some of these pop-ups lead to the installation of spyware and adware! Although I like to keep track of where my visitors come from and how they got here, I felt that I had to remove this counter for obvious reasons. I'd like to apologize for any installation of spyware or adware that occurred after visiting Philipscdi.com and I will pay more attention to these things in the future. They're here! The magazines are finally on the website, under the Press section. Thanks to the permission of publisher HUB and the hosting services of cdinteractive.co.uk, you too can now relive the excitement of reading the previews of games like Burn:Cycle, Secret Mission, Atlantis - the Last Resort, and many more off course. For now, only Dutch magazines are available but many more will follow. Have fun! © 2005 - Website property of Mylo Inc. except where noted otherwise.